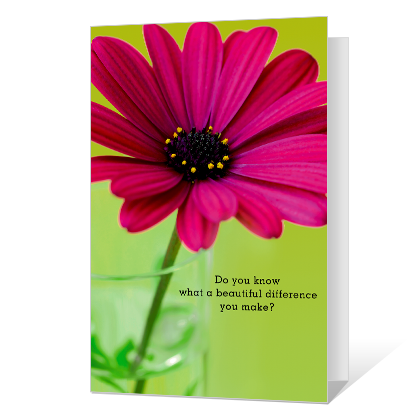 Cover Verse: Do you know what a beautiful difference you make? Inside Verse: Just want you to know that it's true. And just as you give from your generous heart... My heart is so grateful for you.